I received the Red and Black Scholarship my freshman year. Among the many scholarships I’ve received the past several years are the Mary F. English Technology Award, the Maureen McLaughlin Devereaux Scholarship, the Dr. John H. Johansen Scholarship, the James & Moke Chee Wolter Scholarship and the Nancy M. Vedral Scholarship. I’ve also received numerous grants and other aid. I am a double major in Middle Level Teaching and Learning and Spanish Language and Literature. I chose to become a middle school teacher because it was in middle school that I learned how to be myself. I want to be able to inspire and guide my students to work hard to develop into the best versions of themselves and to reach their full potential. Spanish is a skill I will be able to use to better communicate with students and support the English Language Learners in my classroom because I myself can relate to them as a second language learner. I learned about NIU at a college fair. The representative seemed so positive, passionate and excited about all the things NIU has to offer. I also saw that the College of Education was one of the top schools in the nation for online master’s degrees in education and one of the top undergraduate schools for education in Illinois. I am the president of the NIU Educators’ Club, the NIU Spanish Club and the Figure Skating Team. I am also a peer mentor for NIU Service Leaders and an outdoor education intern for the Lorado Taft Field Campus. I am also in Tier 2 of the Leadership Academy and the University Honors Program. In my spare time, I enjoy reading, volunteering, learning new languages, traveling and working on my curriculum relevancy research. My favorite event at NIU has been Undergraduate Research and Artistry Day (URAD) because it is so wonderful to be able to see all the research that other students have been working on in other fields, while also gaining experience presenting your research in a conference-like setting. The thing that I like about NIU’s campus is that it is very easy to navigate, and it has many different resources for everything you need as a student—whether it be emotional support, a place to study, support in finding a future job, or a place to meet other students who have the same interests and goals as you. The thing I like about the NIU community is it is so diverse and supportive. I have made friends from all different kinds of backgrounds and have had wonderful professors who’ve guided me along the way to becoming the best version of myself going into my future career as a teacher. There are great discussions that come out of my classes, and the teachers model ideas we can use in our classrooms in the future. What is nice about NIU is that the class sizes are small for a large university, and the professors are very knowledgeable in their fields. Especially in the honors classes, the professors really help you to relate the content to your field of study and apply it to your future career. I would say there are many things I have experienced at NIU I will take with me into my future endeavors as a teacher. I participated in Research Rookies, took an all-expenses-paid trip to Houston, Texas, to student teach in a middle-school science classroom for a week as a part of the Educate U.S. program, participated in the Leadership Academy, studied abroad in Spain and Argentina, served as an ESL tutor as a part of the Creando Caminos program, became a Mary F. English Technology scholar and worked as an outdoor education intern at the Taft campus. NIU has so many opportunities to help you grow as a professional in your field, and they offer a lot of support financially. Be open to where the opportunities take you. Even if your journey does not turn out the way you thought it would, it will all turn out OK in the end. If you asked me four years ago where I would be as a senior in college going into my future career, I would have had a way different answer. But I would not have it any other way. 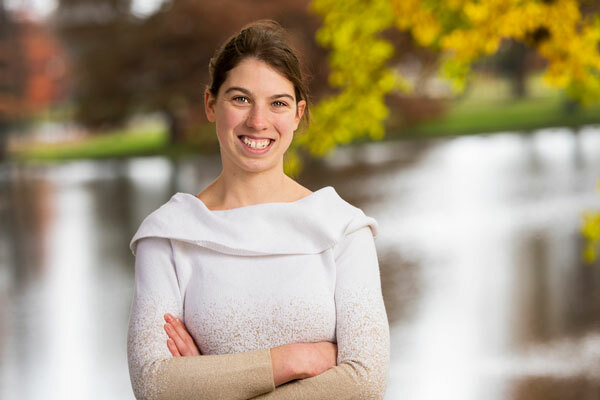 Ashley Grazutis, who is graduating in May of 2019, was a 2018 Lincoln Laureate nominee.